Interior of the model support 15 inch central touchscreen allowing access to the navigation, vehicle data and entertainment. In standard version, Bluetooth connectivity and FC keycard are available. Model will also support automatic emergency brakes. It also includes 8 airbags in it. 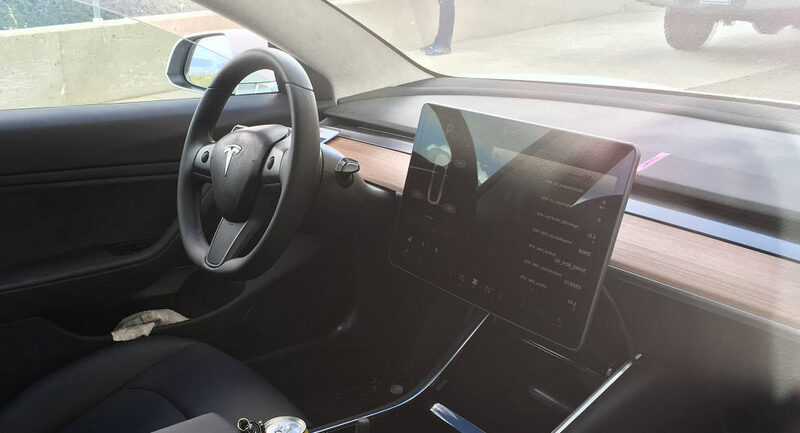 For some extra price, Buyers can also opt to upgrade to Tesla’s Autopilot semi-autonomous driving technology. This will allow car to automatically match pace with surrounding traffic. Full production of the Tesla Model 3 begins in mid-2017.